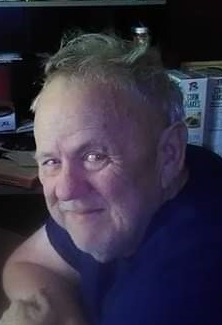 Francis “Gerald” Anderson passed away to be with his Lord and Savior on March 3, 2019 surrounded by his loving family in Azle, Texas. Gerald was born to his parents, Theodore and Gladys Anderson on November 3, 1935 in Sherman, Texas. We honor the sacrifices Gerald has made to our great Nation. He was a Veteran of the Korean Conflict Era, Peacetime and Vietnam Era. He served in the Navy from January of 1953 till November of 1956. He then joined the Army from December of 1961 to February 1978 where he departed as a Sergeant with many honors and accommodations. Gerald loved his family very much and they will treasure the wonderful memories forever. Do not stand at my grave and weep I am not there. I do not sleep. I am a thousand winds that blow. I am the diamond glints on snow. I am the sunlight on ripened grain. I am the gentle autumn rain. When you awaken in the morning's hush, I am the swift uplifting rush of quiet birds in circled flight. I am the soft stars that shine at night. Do not stand at my grave and cry; I am not there. I did not die. Gerald is preceded in death by his parents Theodore Anderson and Gladys Cagle-Anderson, his daughter Joretta Thompson, his sisters Hazel and Lavinia along with other extended family. Gerald is survived by his loving wife Paula Jean Traffanstedt-Anderson, his son Bill Peterson and wife Sherry, his daughter, Beverly Springer and husband Marc, his daughter Susan Anderson, his son Joseph Hammons, his daughter Jamie Heard, his daughter Anna Burell and husband Bart, his many loving grandchildren, his brother Fred Anderson and wife Norma. Gerald is also survived by many other loving family members and dear friends.